When we think about swords and the martial arts involving swords, we seldom think of children. It seems that the cutting blade and young people don’t mix well….or at least that’s the belief in America, when in fact, I suggest that there are ways to introduce the sword at early ages with extraordinary benefits without introducing major risk of injury. If we look at the Japanese culture, we find that many Kendo students begin their practice in the early years of grade school. Learning Kendo in Japanese grade school is like American kids learning baseball. Early in my teaching experience in Kendo, I had the pleasure of having a young Japanese girl in one of my classes. When my American students first began competing with her, they severely under-estimated her abilities. Their American-based judgment system looked at her diminutive size and her young age and assumed her abilities would match her American counterparts’ skills for the same size and age. In reality, her skills were way beyond what would normally be expected, an advantage of her early start in Kendo. However, this impressive ability comes with a price. Young Japanese students may practice many hours a day doing strenuous training exercises that can eventually result in stunted growth. It is a well-known fact that extreme exercise in young people does affect development. Energy from the nutrition children take in is diverted to their muscles to support their exercises rather than being used for growth development. Olympic gymnasts are good examples of this – think of the small stature of these gymnasts as well as the delays or absence of menstrual cycles in young girls. Obviously, we want to avoid affecting a student’s growth potential, and allow them to learn the art safely while reaping the benefits of the early cycles of learning. Today’s modern Chanbara weaponry provides a safe alternative to the bamboo (Shinai) or wood (Bokuto or Bokken) swords used by older students. 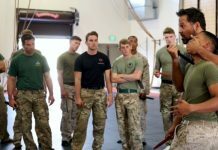 By starting with soft weaponry, instructors don’t need to worry about the inability of children to handle bamboo or wood to teach basic sword strikes. 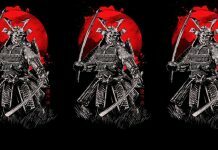 Students can also begin learning sword techniques earlier through the use of games and simple exercises. 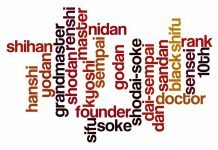 In addition, the fear of injury that we often see in students when they are concerned about being struck by the Shinai or Bokuto is removed. 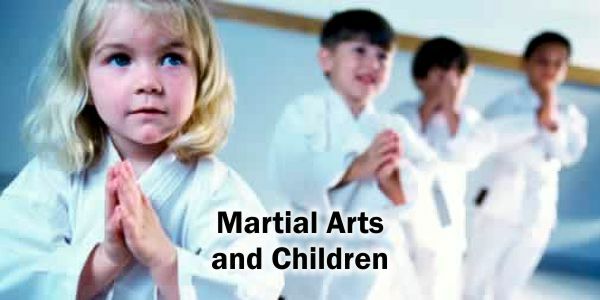 The following are some suggestions on how to integrate the sword into martial arts for young children. Children in the 3 to 6 year range are looking for your attention and approval. Small class sizes for these age groups is suggested to help give each student personal attention. Only the short sword is recommended for the 3 to 6 year olds. Unless modified for these children’s size, longer weapons, such as the bo staff or long sword, are too hard for the children to control. These weapons tend to be heavier, possibly causing injury to small wrists. They are also longer, which can increase potential injury to other children in range. Three to 6 year olds can be instructed in basic safety. They should be taught not to hit someone outside of class with the swords. I have learned the hard way that horseplay around the house with the Chanbara equipment, even with adults who have a lot of control, usually ends up with someone getting their eyes watered, or their nose literally “out of joint.” You certainly don’t want Johnny going home and beating away on his sister with his newfound sword techniques. The 3 to 6 year old children can also be taught to hit another student only when that student has put on a protective helmet and gloves. Good safety behavior can be rewarded with small prizes. Because children of this age group have fairly short attention spans, the rewards will need to be given as soon as the good behavior appears in order to be properly related in their minds. Another reward can be assigning someone to be the “safety monitor”, such as the child who best exemplifies safe behavior. You can also rotate the assignment of safety monitor for each class, which also helps to instill the safety message. Optimally, children in this age range can be taught the proper basic grip of the sword and the 4 basic strikes: head, wrist, body and legs. These strikes should be the simple 12-to-6 o’clock technique; i.e., raise the sword above the head and swing straight down. The techniques may be sloppy, but the beginnings of understanding how to swing and where to strike can be understood. The strikes can be practiced using a dummy. patience (the student must learn to wait his or her turn to strike the x-ray). awareness (both timing awareness from hitting in sequence and awareness of the location of other students so as not to strike the student next to them). Ages 7 to 9 are still best kept to the short sword. These students have better muscle control than the 3 to 6 year olds, but can still be prone to forgetting to be careful about accidentally hitting someone. They still need to stay aware that someone might be standing beside or in back of them while they are swinging the sword. These children’s wrists, from a strength perspective, may still be a concern. The ability of the individual student must be taken into account. The Chanbara bo staff may be introduced, especially for the students that have studied the bo outside of sword class. If longer weaponry or nunchaku are allowed, caution the students to temper the strength they use in their strikes. The 7 to 9 year olds don’t always realize how hard they are hitting one another. Because 7 to 9 year olds are able to stay more conscious about safety, the reward system will need to change. This age group is able to concentrate on one thing longer than the 3 to 6 year olds and can relate reward issued at the end of class to their behavior during the class. For example, rewards can be tickets or points that can be saved up and turned in for prizes. 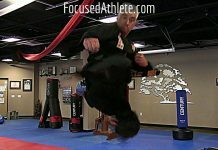 This age group can improve on the basic techniques (head, wrist, body and leg strikes) by adding diagonal strikes. For the head this would mean strikes to just above the temple area (obviously while wearing a helmet). For the body, the strikes would be from just under the arm across the body and down to the waist. Simple blocking techniques can also begin to be taught. The 7 to 9 year old has good reactions and teaching blocking will help to improve their reaction time. It will also start to teach them to recognize what strikes being made on their own bodies looks like. A simple game for this age group is “capture the flag”. Place a red flag on one side of the deck. Place a white flag on the other side of the deck. Divide the kids into two teams of equal size and ability. The white team must protect the red flag from capture while trying to obtain their white flag from the red team. Conversely, the red team must protect the white flag from being captured while trying to obtain their red flag from the white team. Each student has one sword each. If struck in the arm, they must put that arm behind their back. If struck in the leg, they must drop down onto that leg (and, thus, can’t move around the deck). If they are struck in the head or body, they are “dead” and need to get off to one side. The first team to get their team’s flag is the winner. The 10 to 13 year olds are able to adjust all the strikes. Their attention spans have increased, thus allowing longer practice sessions on any one technique. This age range also seems to enjoy one-on-one combat. It is a good time to introduce using two weapons (one in each hand). Simple games can include contests similar to “King of the Hill.” This game is conducted by having the students line up. The first two students in line battle until the first strike occurs. The loser gets zero points. The winner gets one point and continues on to fight the next student in line. Again, the winner gets one point, and the loser gets zero. This continues until you reach the end of the line. At the end, the student with the most points wins. In case of a tie, the students with the same number of points then battle until a winner is determined. Generally speaking, at thirteen, students are physically ready to train more intensively, however, it is important to decide whether they are mentally ready for this jump as well. The instructor must judge whether they are large enough in stature and mature enough in demeanor to do so. 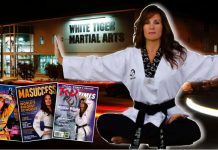 There are many other examples of ways you can incorporate the sword into your program for younger martial artists. Be creative in coming up with different games or “drills” to reinforce the techniques you are teaching. The main things to remember are to avoid overstressing young bodies and keep young minds (and attention spans) engaged. Most of all, keep it interesting, keep it simple and keep it fun! 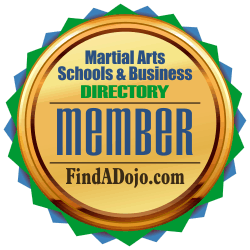 To find out more about Shihan Dana Abbott and the study of the Japanese sword on LearnTheSword.com visit his listing on the Martial Arts Schools & Businesses Directory by clicking on the image on the left.